Pentridge Prison - TERRACULTURE ." 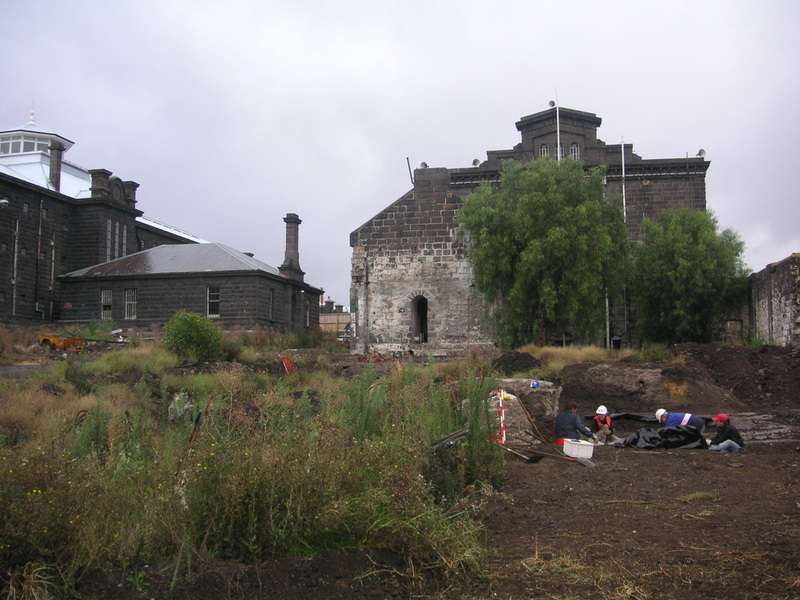 In 2006, TerraCulture, in association with Heritage Victoria, undertook archaeological excavations at Pentridge Prison, Coburg. The investigation was required as a result of planned redevelopment of the former prison complex. The aim of the archaeological works was to identify the location of a burial ground that had been indicated in historic records and to identify and remove any human remains. Pentridge Prison’s burial ground was established in the 1920s when the prison became the site for Melbourne’s executions. In 1929, Pentridge’s cemetery obtained its first occupants when thirty-two bodies were exhumed from the Melbourne Gaol and reburied in three mass graves within the new cemetery. In the following thirty-five years, eight men and one woman were buried at Pentridge after being executed. Although historic documentation provided some indication of the location of the burial ground, no definitive map or plan of the cemetery had been found. In November 1998, a cairn was placed within the confines of Pentridge Prison where Ned Kelly was believed to be buried. Extensive test archaeological investigations commenced in October 2006 identifying human remains within a large burial ground. 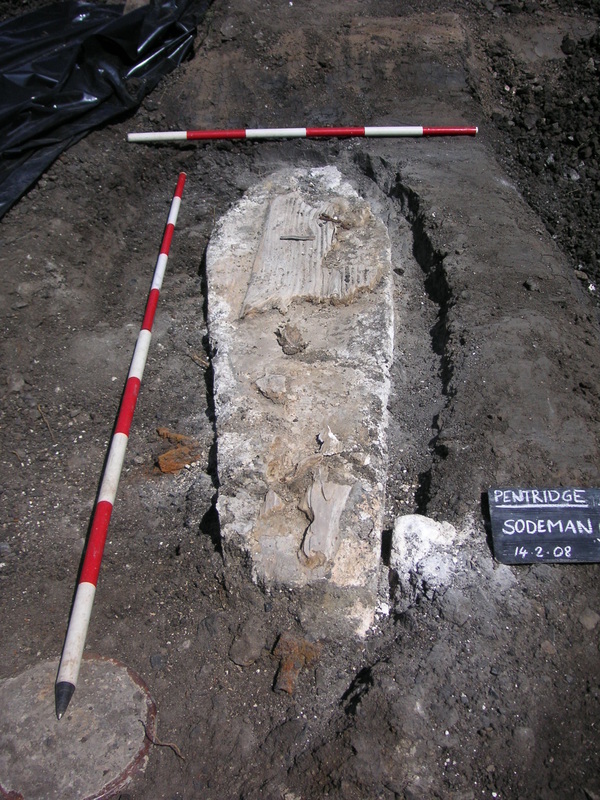 Subsequent investigations in February 2008 relocated all nine graves of prisoners executed at Pentridge Prison between 1932 and 1951. This phase of investigations also identified the remains of 1937 mass exhumed burials from Melbourne Gaol. In addition to the burials, further archaeological features were identified associated with the occupation of the prison. This included a large rubbish pit that contained a high quantity and variety of historical artefacts providing an insight into the commodities of the prison complex during the 19th century. The excavation generated wide media coverage and various academic papers.